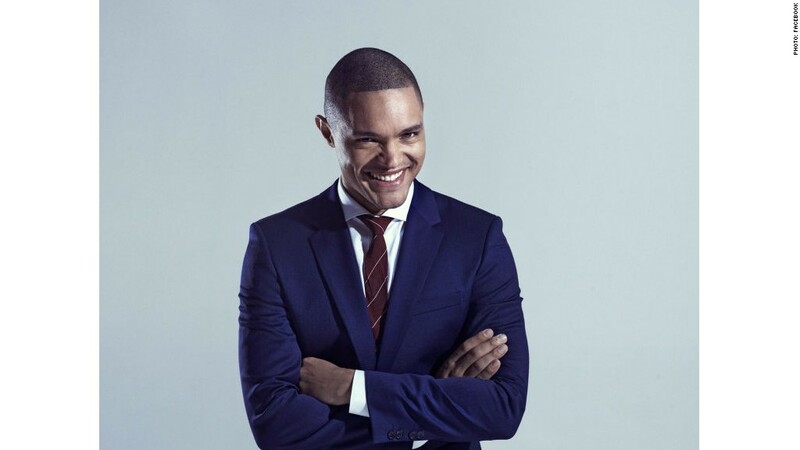 As Trevor Noah takes over "The Daily Show" on Monday night, one of his messages is a blunt one: He's not Jon Stewart. In interviews and appearances, the comedian is trying to emphasize that while the show is still a news satire at heart, it will be changing — sometimes markedly — with him in the chair. For example: there will be more musical performances. Why? Because "I love music, that's why more music," Noah said in an interview with CNNMoney. And there will probably be fewer moments of media criticism, a hallmark of Stewart's later years when he took aim at Fox News and CNN on a regular basis. 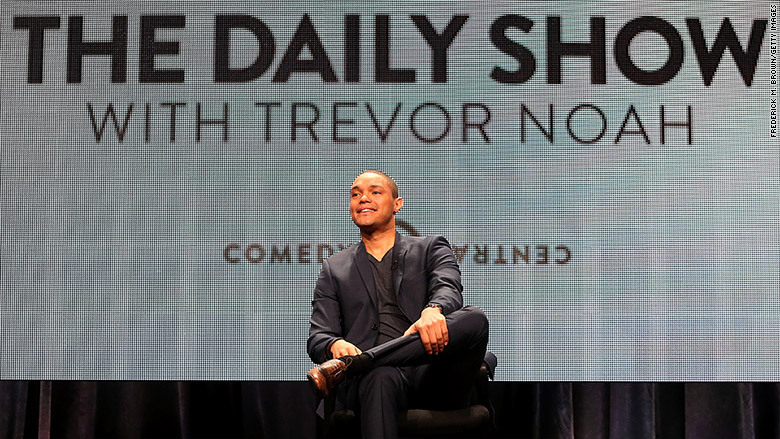 "Who knows, 'The Daily Show's' new vision may not be particularly to skewer the media. It may be a different approach. That is what the show became," Noah said. He also said he's not coming onto the show with a specific list of targets — which means he won't be picking up right where Stewart left off. "The Daily Show" is an American TV institution, particularly among progressives who cheered for Stewart's scathing critiques of political failings. Noah says he shares Stewart's progressive worldview. But he also seems to have a mandate to broaden the show's appeal. While he's not a political junkie, he says he's interested in all sorts of topics, from campaign news to sports to entertainment. From Comedy Central's perspective, the loss of some longtime Stewart fans could be counter-acted by viewers who didn't make a habit out of Stewart's "Daily Show," but are willing to give the new, younger host a chance. Stewart, who signed off in early August, is 52, while Noah is 31. "Trevor truly represents the next generation," Comedy Central president Michelle Ganeless said. The hand-off is happening at a time of drastic change in late-night -- Stephen Colbert just started on CBS's "Late Show" three weeks ago -- and in the wider media world. The retooled show, still being produced largely by veterans of Stewart's version, will find comedic fodder from social media scandals and new media juggernauts like BuzzFeed that didn't exist when Stewart started in 1999. But cable news anchors shouldn't breathe a sigh of relief. When I asked Noah how often he'll be poking fun of CNN, he answered slyly, "How many things are you going to be doing that you consider joke-worthy?" One of the TVs in his office is tuned to CNN. "I watch all of them," he said of the TV news networks. "Sometimes the things that are said are ridiculous. I laugh at them. Sometimes they're wrong. Sometimes they're right. A lot of the time, I learn." A native of South Africa, Noah brings an outsider's perspective to American news coverage and politics. He'll interview a politician for the first time on Wednesday night when New Jersey governor and Republican presidential candidate Chris Christie visits the show. Perhaps the most telling booking, though, is the musician Ryan Adams, who will appear on Thursday night. He'll perform a song from his new album of Taylor Swift "1989" covers. 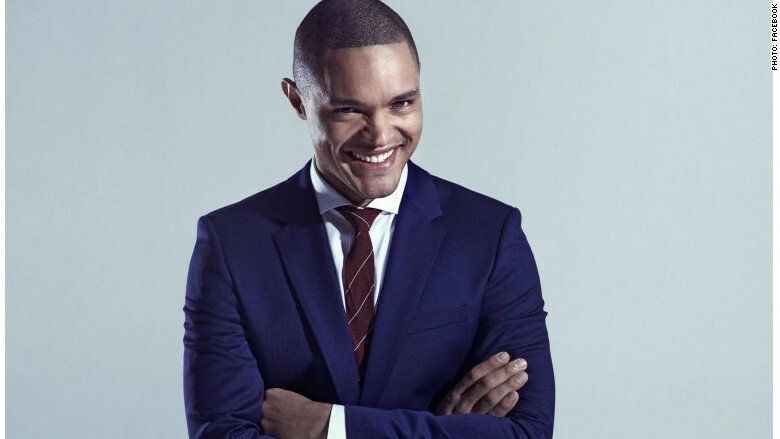 Noah explained: "I think he's, in essence, done what we've done with 'The Daily Show, and that is, he's taking something that people love.... something that's very successful, and he's gone, 'This is my interpretation of it.' People go, 'Is it changed? Is it different?' Yes. 'But is it a thing we recognize?' Yes. 'Can I be a fan of both?' Yes." 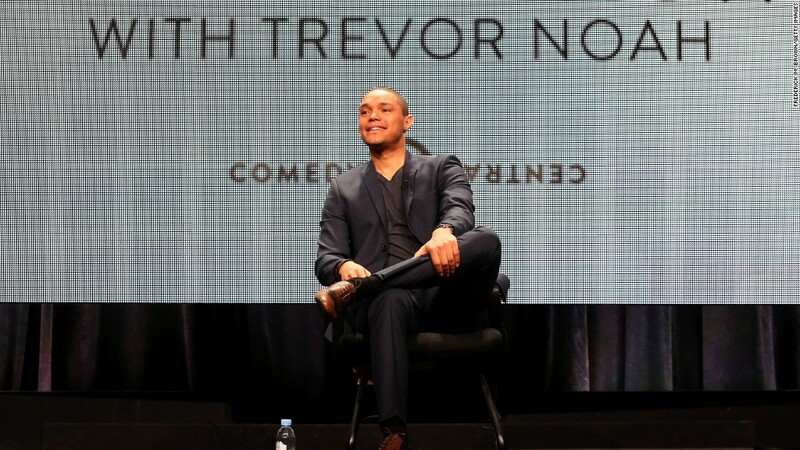 Will Trevor Noah be a liberal icon?